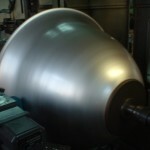 Metal Spinning is our main activity. 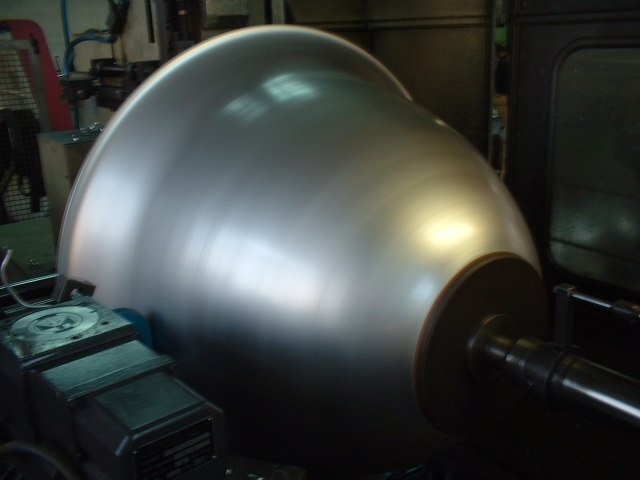 The automatic CNC spinning lathes provide the best reliability for the iron, steel, alluminium and copper manufacturing for every diameter and thickness. One lathe Magellano 400: ideal for mass productions. They have an optional automation system for loading and unloading, The production is planned by CNC and ensures the observance of centesimal tolerances. The versatility is the outstanding characteristic of the last generation lathes Millennium 2000. 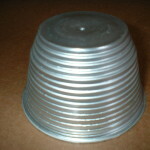 Those are the best for alluminium and copper products made with metal spinning works. 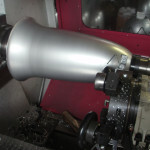 The lathe Big Giotto is ideal for iron and steel working. It works up to a peak of 800mm for 3-4 mm of iron's thickness. 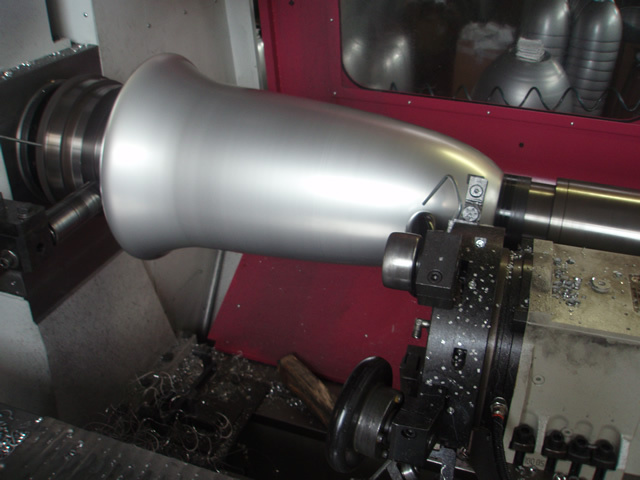 The lathe Giotto 800 permits to work on diameters as far as 1200mm for 2-3mm of thickness for alluminium. 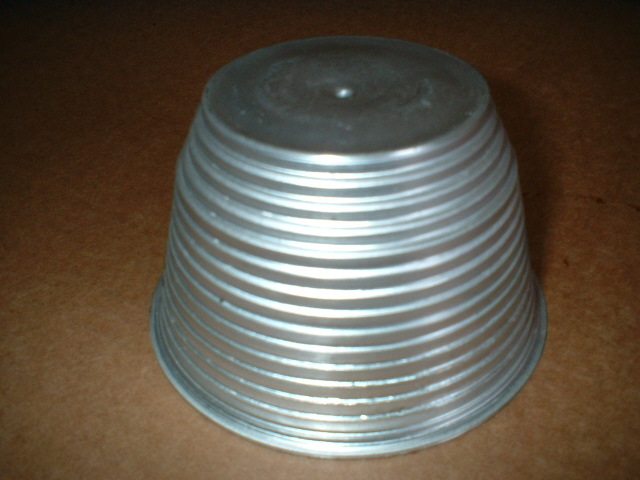 It is really suitable for medium and big sizes alluminum products.